BONN /Germany/, February 8. /TASS/. 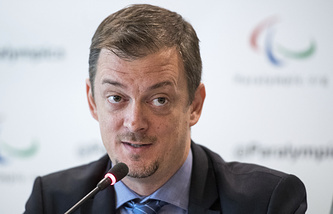 The International Paralympic Committee (IPC) closely works with the World Anti-Doping Agency (WADA), which will share with the IPC data extracted from the Moscow Anti-Doping Laboratory in case of newly exposed anti-doping violations, IPC President Andrew Parsons told TASS on Friday. The IPC announced earlier in the day a decision to conditionally lift the suspension of the Russian Paralympic Committee (RPC) by March 15, which gives the right for Russian Para athletes to compete at the international tournaments under the national flag after that date. However, the conditional lift of the suspension will be in force until December 31, 2022, which means that the Russian side must strictly abide by a number of special requirements to avoid a recurrence of sanctions. "We work closely with WADA," Parsons said in an interview with TASS. "I think now it’s for them to analyze all the data, to verify the quality of the data and those specific findings." "Of course we expect that if there is anything the IPC is to be informed about Para athletes or the Russian Paralympic Committee they [WADA] will inform us," the IPC president said. Last month WADA experts extracted data of Russian athletes’ doping samples for the period of 2011-2015 stored at the Moscow Anti-Doping Laboratory. The data is currently being reanalyzed and verified and it may take up several months to finish the work. Announcing the conditional lift of the suspension on Friday, the IPC stated that it would grant permissions to Russian athletes to participate in the 2020 and 2022 Paralympics under the condition that they undergo frequent doping tests. The IPC said in its statement said that "The RPC must contribute to the IPC’s significant costs resulting from the increased testing required in relation to Russian athletes under the IPC’s jurisdiction until 31 December 2022." The IPC suspended the Russian Paralympic Committee in August 2016 in the wake of a report delivered a month earlier by the WADA Independent Commission, chaired by Canadian sports law professor Richard McLaren. The report stated in particular that Russia allegedly employed a state-sponsored doping system. On August 7, 2016, the IPC decided to bar the entire Russian team from taking part in the 2016 Summer Paralympics in Brazil’s Rio de Janeiro. Besides skipping the 2016 Summer Paralympics in Brazil due to the imposed sanctions the Russian Paralympians almost missed the 2018 Winter Paralympics in PyeongChang as only few of them were cleared to participate in the neutral status.